Bring Balance to your Life!! 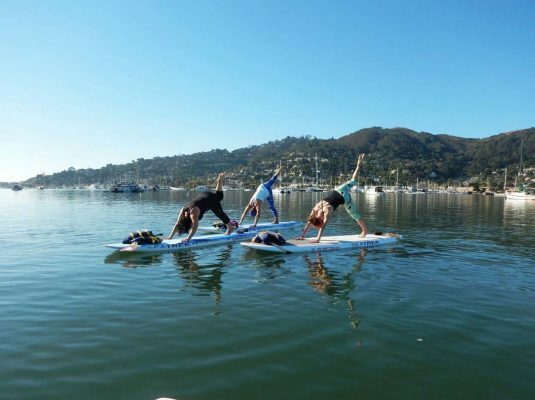 OnBoardSUP Classes are traditional Yoga, Pilates and Fitness Core classes taught on the water on floating boards. 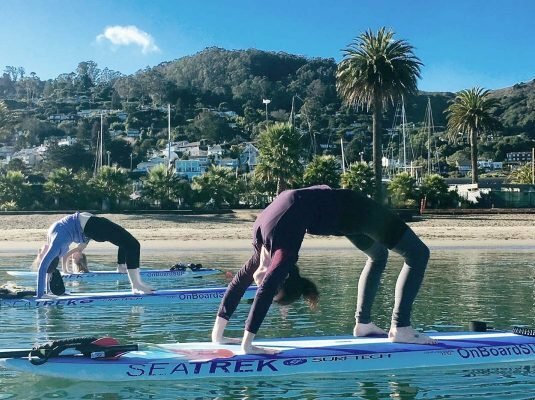 Your mat is a Stand Up Paddleboard; the world is your studio and all of the elements have been invited: Sun, Wind, Water and Earth. Enjoy learning while adapting to the motion of the board. The continuous challenge to balance, the instant instability created by minor energy and weight shifts, require you to ground while afloat. Change is the only constant in life. On the water we learn to flow and enjoy the ride. Classes are 75 minutes long. 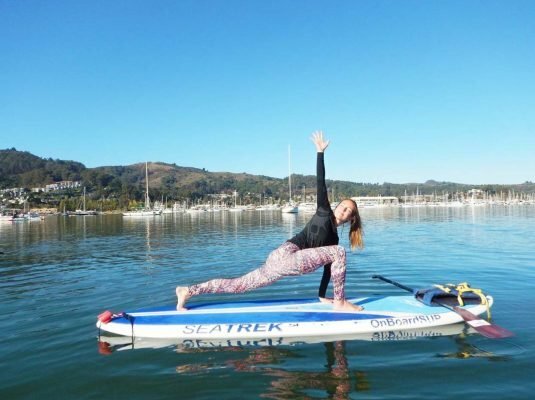 We practice several days a week, all year long, among the seals in beautiful Richardson Bay. Join us for a week of OnBoardSUP in Baja with Sea Trek every spring! Wear the clothes you would normally wear to yoga, but please NO COTTON on the water (if cotton gets wet, you will chill). Book online at www.onboardsup.com to reserve your spot. Feel free to call for information, Gift Certificates or Team Building Events: (415) 497-5479. Please visit www.onboardsup.com to sign up. 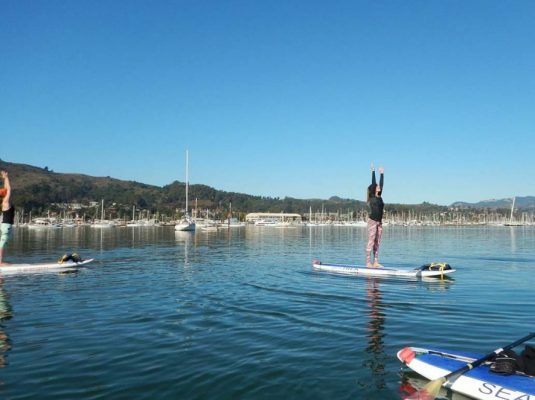 Please visit www.onboardsup.com to buy a gift certificate.